We would like to highlight the Outstanding Reviewers for Energy & Environmental Science in 2016, as selected by the editorial team, for their significant contribution to the journal. The reviewers have been chosen based on the number, timeliness and quality of the reports completed over the last 12 months. We would also like to thank the Energy & Environmental Science board and the Energy community for their continued support of the journal, as authors, reviewers and readers. We welcome Jenny Nelson as a new Editorial Board member for EES. A Professor of Physics at Imperial College London, she has researched novel varieties of material for use in solar cells since 1989. Her current research is focussed on understanding the properties of molecular semiconductor materials and their application to organic solar cells. This work combines fundamental electrical, spectroscopic and structural studies of molecular electronic materials with numerical modelling and device studies, with the aim of optimising the performance of solar cells based on molecular and hybrid materials. We welcome Wolfgang Lubitz as a new Editorial Board member for EES. Wolfgang Lubitz studied Chemistry at the Freie Universität (FU) Berlin (1969 – 1974), where he also received his doctoral degree (1977), and his habilitation (1982). He worked as a research scientist at UC San Diego, USA (1983/84) and as Assistant and Associate Professor at the FU Berlin (1979 -1989). In 1989 he became Professor in the Physics Department of the Universität Stuttgart, before he took over a Chair of Physical Chemistry at the Technische Universität (TU) Berlin in 1991. In 2000 he became a Scientific Member of the Max Planck Society and Director at the Max Planck Institute for Chemical Energy Conversion (formerly Max Planck Institute for Bioinorganic Chemistry) in Mülheim/Ruhr, Germany. Professor Lubitz is an Honorary Professor at the Universität Düsseldorf. His scientific work is focused on energy conversion processes in natural and artificial photosynthesis, the investigation of metalloproteins (hydrogenases, water oxidase) and the development and application of molecular spectroscopy, especially magnetic resonance methods. His work has been published in over 400 scientific publications. 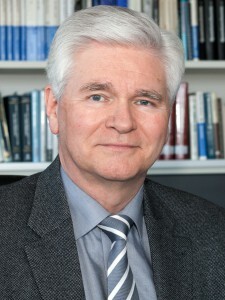 He is Fellow of the Royal Society of Chemistry (UK), the International Society of Magnetic Resonance and has received the Zavoisky Award, the Bruker Prize, the Gold Medal of the International EPR Society and honorary doctorates (Dr. h.c.) of the University of Uppsala, Sweden (2008) and the Université d’Aix-Marseille, France (2014). He has been President of the International EPR Society (2005 – 2008) and is currently Vice President of the Council for the Annual Nobel Laureate Meetings in Lindau. EES and Catalysis, Science and Technology were delighted to support the Polymer Photocatalysts for Solar Fuels Synthesis which took place on 13-14t April 2016. The two-day workshop at University College London on 13th and 14th April, focussed on polymer photocatalysts in the widest sense of the word (e.g. conjugated polymers, carbon nitride, graphene oxide) and their application in photocatalytic water splitting and CO2 reduction. From left to right; Benjamin Martindale, Georgina Hutton, Martijn Zwijnenburg (conference organiser), Run Li. 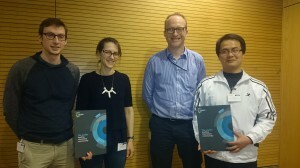 EES poster prize: Georgina Hutton & Benjamin Martindale , Reisner group, Cambridge. Poster title: Solar hydrogen production using carbon quantum dots and a molecular catalyst. Catalysis, Science and Technology poster prize: Run Li, Zhang group, Max Planck Institute for Polymer research, Mainz, Germany. Poster title: Photocatalytic Selective Bromination of Aromatic Compounds using Microporous Organic Polymers with Visible Light. EES are pleased to support the International Workshop on Plasmas for Energy and Environmental Applications IWPEEA-2016 which will take place in Liverpool, UK from 21 – 24 August 2016. This workshop will bring together people from academia and industry who are interested in the latest scientific and technological advances in core areas of emerging plasma technology for environmental clean-up and energy applications. Plasma generation, diagnostics and modelling for energy and environmental applications. • Prof. Christopher Whitehead, The University of Manchester, UK ◦Plasma-catalysis: What do we still need to know? •Dr. Qi Wang, Technische Universiteit Eindhoven, The Netherlands ◦Nitrogen fixation by plasma: A touch on future application? ‌Oral and poster abstract submissions are now invited for IWPEEA-2016 on any of the themes listed above. Please see the website for more details. On 9th January 2016, the 4th UK Solar Fuels Symposium took place at St John’s College, University of Cambridge. The event was held by the Solar Fuels network and hosted by the Reisner group at the University of Cambridge. Prof. James Durrant (Imperial College London) gave the welcome and opening remarks, and the invited speakers included: Edman Tsang (University of Oxford), Gregory Wildgoose (RSC Advances Associate Editor, University of East Anglia) and Kylie Vincent (University of Oxford). 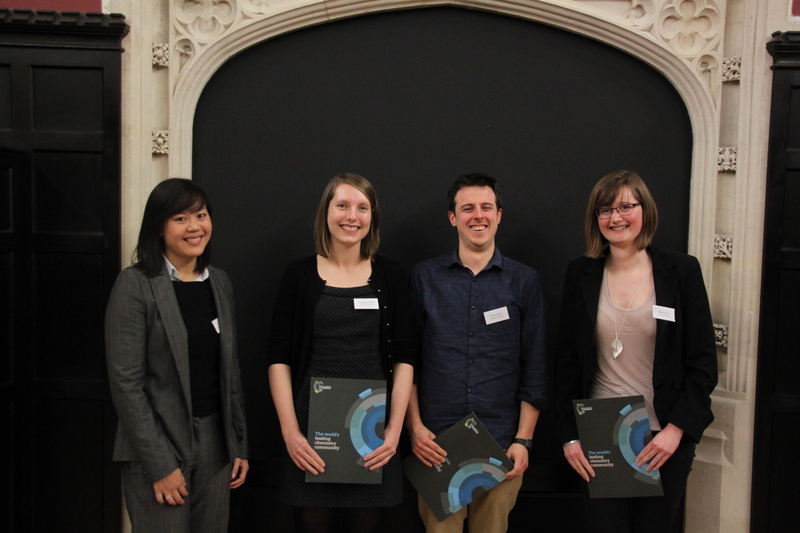 Left to right: Dr Katie Lim, Deputy Editor Energy & Environmental Science, Katherine Orchard, University of Cambridge, Timothy Rosser, University of Cambridge and Grace Lowe, University of Nottingham. US-based scientists have come up with a sustainable way to harvest hydrogen fuel from biomass. Their new electrolytic approach can even release hydrogen from obstinate molecules like lignin and cellulose. Although hydrogen is the most abundant element in the universe, it’s so light that Earth’s gravity cannot hold onto it. This is unfortunate, as molecular hydrogen also happens to be the cleanest fuel – burning in air to give just water and energy. Because only trace amounts exist in the atmosphere, most hydrogen fuel today is derived from fossil fuels, using processes called petroleum reforming and coal gasification. It can also be thermochemically extracted from biomass, using high temperatures and expensive catalysts. 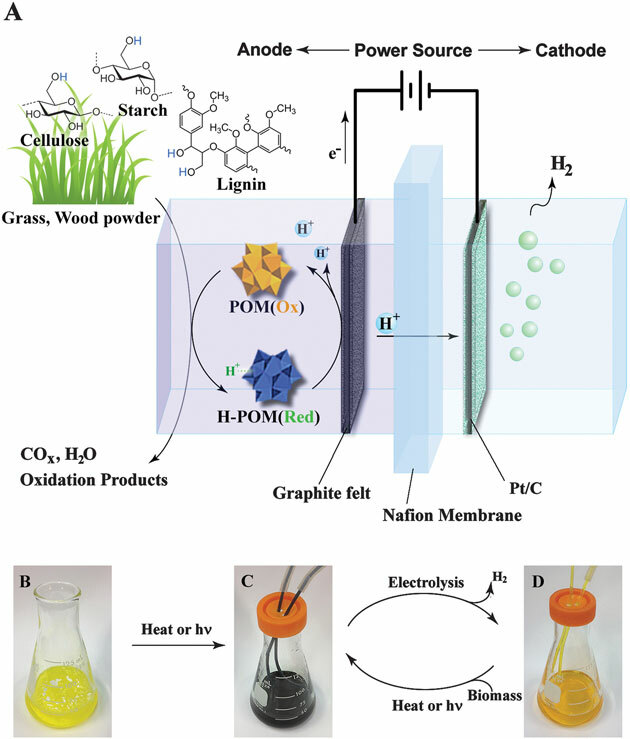 Other ways to harvest hydrogen from biomass are fermentation, electrolysis and photoelectrochemical conversion, but these methods cannot directly break down the fibrous lignin and cellulose found in wood and grass. Now, Yulin Deng and his team at Georgia Tech have developed a low-temperature electrolytic technology that can harvest hydrogen fuel from nearly all types of biomass. Energy & Environmental Science are delighted to announce that Professor Yang Shao-Horn joins the Editorial Board of the journal. Yang Shao-Horn is W.M. Keck Professor of Energy at MIT. 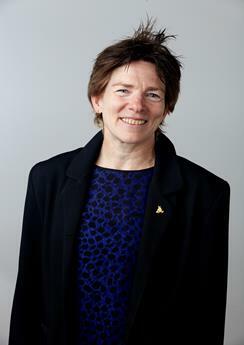 Her research is centered on the chemical physics of surfaces with emphasis on metal oxides, searching for descriptors of catalytic activity, and reactivity between oxides and ion conductors, wetting properties and ion transport, and design materials for solar fuel and batteries including electrochemical/photoelectrochemical water splitting and CO2 reduction, ion/electron storage, and ion conductors. 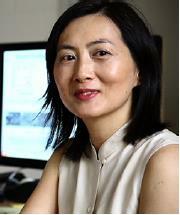 Professor Yang’s research includes extensive experimental components, including synthesis of well-defined surfaces and nanostructured materials, and investigation of processes at the surfaces/interfaces using electrochemical methods coupled with ex situ and in situ X-ray-based and electron-based spectroscopy. These experimental components are used in conjunction with Density Functional Theory computation efforts to develop new, physically based reaction mechanisms and design principles of materials. Professor Yang has published ~200 archival journal papers. Energy Environ. Sci., 2016, 9, 176-183. DOI: 10.1039/C5EE03124A. Professor Yang and the rest of the Editorial Board invite you to submit your best work to EES now! EES is pleased to support the 1st International Symposium on Singlet Fission and Photon Fusion, held on 18-21 April 2016. This new conference series will cover all aspects of singlet fission and photon fusion including both molecular and heavy metal systems, as well as molecular solar thermal storage. Some of the most talented scientists in this exciting up-and-coming field, including chemists, physicists, spectroscopist and theoreticians are coming to present their most recent results. We are certain that this will promote highly stimulating and creative days in Gothenburg (Sweden). Due to the strong lineup of confirmed speakers we expect to have 200 participants coming to Gothenburg. The conference has high visibility within the photochemistry and materials science research community. The symposium covers all aspects of the interaction of light and matter, related to singlet fission and photon fusion including photochemistry, photophysics and spectroscopy, and materials science. More information is available at the symposium website. Looking forward to see you all in Gothenburg! Maria Abrahamsson and Kasper Moth-Poulsen, on behalf of the organizing committee. We are excited to announce the upcoming UK-Korea Symposium on Lithium and Sodium Batteries which will take place in London from the 18th – 19th January 2016. The symposium will be a joint meeting organised by the Royal Society of Chemistry and Ulsan National Institute of Science and Technology (UNIST) and will be focussed upon covering all aspects of lithium-ion, sodium-ion and metal-air batteries (for e.g. Li, Na and Zn). There will be talks showcasing some of the best research from Korea and the UK with opportunities to highlight recent developments and identify emerging and future areas of growth. There will also be a poster session with prizes and certificates awarded for the best poster presentations. Further details about the symposium can be found here along with information on registration and abstract submission.